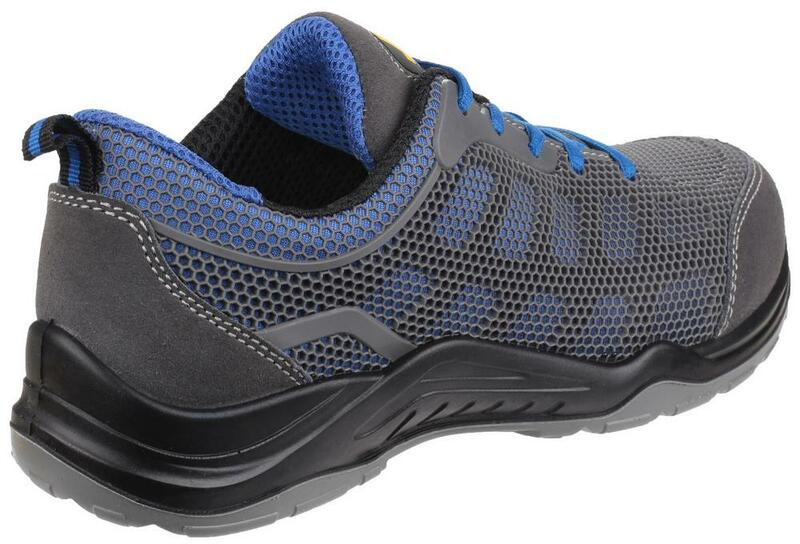 Lightweight and breathable safety trainer with seamless perforated upper and highly abrasive resistant dual density PU outsole. 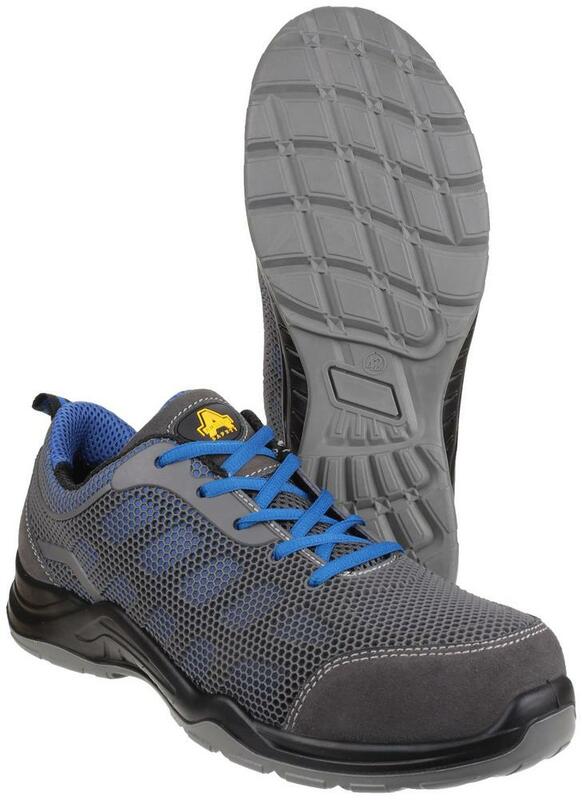 Safety Trainers with 200 Joules composite toe cap and Anti-penetration steel midsole. More comfort with Removable EVA footbed, Moisture wicking breathable mesh lining and Padded collar & tongue. Antistatic construction, Dual density PU outsole and Energy absorbent heel. 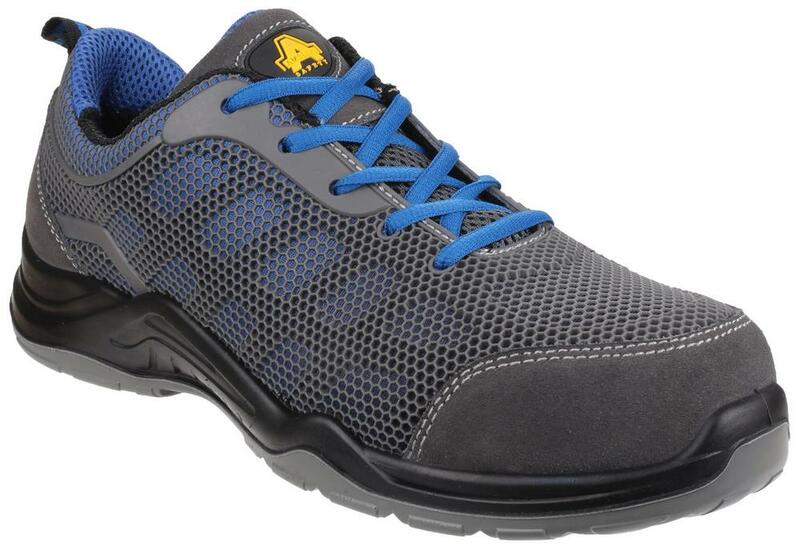 Amblers Safety AS711 safety trainers made from KPU & mesh upper, Fuel & oil resistant outsole. Penetration resistance. Antistatic. Toe Protection. Energy absorbing seat region. Slip Resistance.